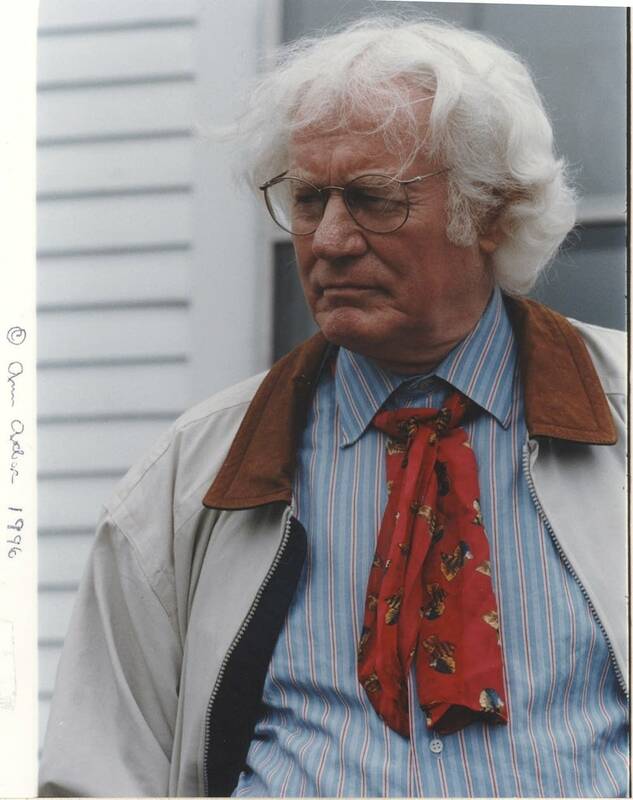 Hundreds of people are expected in Minneapolis Monday evening to attend a celebration of the poetry of Robert Bly. Now 92, Bly is credited with reshaping poetry in the United States through his writing, teaching and advocacy. Event organizer Jim Lenfestey said he expects many people will crowd into Plymouth Congregational Church for a reading to mark a 60-year poetic legacy. He points to Bly's influential magazine, begun in and called "The Fifties," which in the following years morphed into "The Sixties" and "The Seventies." "That magazine made a national impact from his farmhouse kitchen table in Madison, Minn., and then he went on to publish his first book in 1962 and up till now," he said. "So it's a great honor to be able to present this book." "This book" is "Collected Poems," a new anthology of Bly's work. Lenfestey invited 30 people, including Bly's family and friends, to each read for two minutes. "The hardest part for many of the poets is to choose one or two short ones to be able to do in the few minutes that each of them has," he said. "Because the richness in here is gold." In his prime, Bly was known for readings that drew huge crowds, where he often recited from memory. In recent years, as Lenfestey puts it, Bly has gone quiet. He's unlikely to attend. But Lenfestey is particularly excited by one guest with a special Bly connection. "Some of your listeners may recall a great poem, 'Lying in a Hammock at William Duffy's Farm in Pine Island, Minnesota,'" Lenfestey said. "That William Duffy — Robert and he were partners, founding the magazine. Bill lives in St. Paul and he's lively as a wild chicken, and he's going to be here, and the only problem is there is no two minutes with Bill Duffy. But it will be wonderful to hear the story that he is going to tell and hear the poem he is going to choose." The event will end with all the readers together reciting a later Bly poem, "Keeping Our Small Boat Afloat." The reading begins at 7 p.m. Tuesday. Lenfestey took a lesson from hosting his last Bly event, four years ago. That crowd was so big, many didn't get in. He's got a bigger hall tonight. "This time there will be no turning away of people," he said. "We want everybody to come."